FREE WI-FI, SKY TV, INTERNET, This new holiday apartment has a large bedroom with en suite, a separate kitchen with sofa table and chairs sky tv,,free wi-fi fridge freezer, microwave, oven and hob. Bedding and towels are provided on arrival, the kitchen is almost completely fitted out with crockery and utensils. 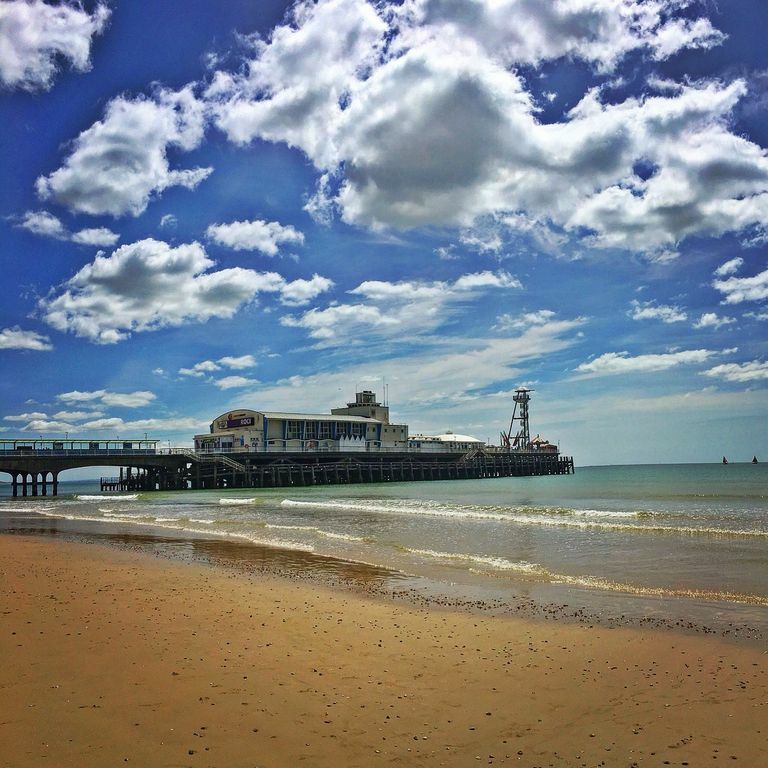 You can walk to Bournemouth town centre and the beach, it’ll take approximately 20 mins. The train station is a 10 min walk and the buses are close and run frequently to many beauty spots. The new BH2 cinema complex is in the town centre, just a short distance away. This property is within easy reach either walking or driving to most amenities weather it's restaurants, town centre, cinemas, beach, Bournemouth gardens etc. This is a new little annexe which is very clean with all amenities to cook breakfast. It's small but great for a couple clean sheets and towels. Milk was left in fridge for us on our arrival also a lamp left on as we arrived later into evening. Easy to walk into Boscombe and Bournemouth and a taxi is only £6.00 from Bournemouth. Parking is right outside property on drive. Thank you for a lovely stay. Warm welcome upon arrival owners were very accommodating and nothing was to much trouble. The accommodation has been very well arranged, managing to get everything you need in the space available to make it a bright, comfortable, homely place for a couple to stay and the owners are lovely too!